Situated just across the Seine from the Orsay, the Musée de l’Orangerie is known primarily for Claude Monet’s monumental series of water lily paintings, Les Nymphéas. The panels are displayed as the artist intended, from floor to ceiling inside two large oval shaped rooms, and bathed in the natural light from two large skylights. As recently as In 2000, the Orangerie closed its doors for improvements and renovations, reopening in 2006. The museum also houses an important collection of primarily early 20th century art including Picasso, Modigliani, Soutine, and Braque. 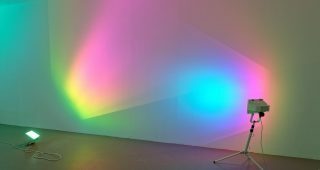 Under the directorship of Cécile Debray, the Musée de l’Orangerie is also gaining prominence for its ongoing series of special exhibitions. Children under 18 and EU residents under 26 are free. The Musée d’Orangerie was originally built in 1852 as an orangerie or winter shelter for the orange trees destined for the Tuileries Gardens. Over time, the building was used for soldiers, sporting and musical events, industrial exhibitions, and rare painting exhibitions. In 1921, the administration of the Beaux Arts designated the Orangerie as an annex to the overcrowded Musée du Luxembourg. 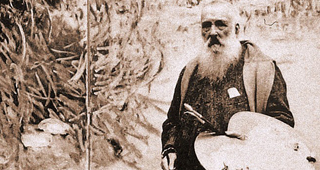 About that time, the Prime Minister of France, Georges Clémenceau suggested to his friend Claude Monet that the Orangerie was the best location for the artist’s large decorative panels proposed as a gift to the French State to commemorate the close of World War I. Monet worked on the panels of between 1914 and 1926 and provided specific guidance regarding their installation in special oval rooms. In May 1927, just months after Monet’s death, the Orangerie would open to the public becoming in the words of curator Philippe Saunier, “the Sistine chapel of impressionism.” A range of early twentieth century art was given to the Orangerie Museum in 1959 by the estate of Jean Walter and Paul Guillaume with the stipulation that the objects be shown as a distinct collection. Today, the paintings and sculptures are located in galleries at the lower lever with shadow box installations showing their original use inside the Walter and Guillaume Parisian apartments. The French Minister of Culture placed the administration of the Orangerie museum under the auspices of the Orsay in 2011, creating an entity called the Établissement public du musée d’Orsay et du musée de l’Orangerie.